Moo.com, a Shoreditch-based start-up that prints customised business cards and other stationery using photos from the internet, was globally focused from day one: 70 per cent of its revenues are non-UK. The expanded research and development tax credit will help Moo, and Mr Moross welcomes the reduction in corporation tax and increase in entrepreneurs’ relief. He believes this should be widened to early employees of start-ups as well as founders, and would like to see all taxable gains from selling a business funnelled back into EIS investments. When Alicia Navarro set up her company four years ago, she believed she had a great business plan. Navarro had noted that people often have better experiences when they make group decisions about key activities, such as planning a holiday or buying a sofa. So she set up a social decision-making website. But the business, Skimlinks, was not quite right. The technology was being built by a team of developers in Romania, while Navarro was based in Sydney, Australia – trying to nurture the start-up at the same time as holding down a full-time job. Rather than give in and try a completely new business, however, Navarro went about altering some of the elements of her original idea. This process is described in the US as “pivoting”, derived from the way basketball players move around the court. Mark Suster, general partner at Los Angeles-based venture capital firm GRP Partners, says that the ability to pivot is one of the key characteristics of a successful entrepreneur. He notes that almost all software start-ups in Silicon Valley now build their businesses on this basis. Google and PayPal, two of the Valley’s biggest recent success stories, both pivoted, Suster notes. Often, he says, the market does not know what it wants. This makes it all the more important to get something out there, then refine it using feedback from customers and focus groups. Navarro made multiple pivots with her business. First, she relocated from Sydney to London’s Shoreditch district to be close to the internet business cluster, which is locally nicknamed the Silicon Roundabout. She then marketed her business as a white label service to online publishers who wanted the service on their website. Navarro won customers, got friends to invest and secured a bank loan, allowing her to employ four people. But it was still a fairly hand-to-mouth existence. “Every month, it was a nightmare working out how I would do payroll, but I always found a way, and kept it going,” she says. But the global recession hit, and Navarro found herself facing the prospect of bankruptcy. It was then that she made what she has since realised was her smartest pivot to date. She made her pivot at 10pm one Friday night, when she cold-called a large electronics forum website and offered them her technology. They said yes, and Navarro promised to get something to them within a fortnight. It meant changing a model that Navarro and her team had worked on for two years, but they were all won over. “Over the next two weeks, I went out and sold the concept to some huge UK content networks and my team converted what we had built into something other publishers could use,” Navarro explains. A month after relaunching the business, in December 2008, Navarro had an agreement with an equity investor. A year later, the business was breaking even and serving over 500,000 websites worldwide, working with 8,000 retailers as well as winning dozens of awards for innovation. The business is, in many ways, entirely different from the original plan, but Navarro believes pivoting made the difference between success and failure. “That late-night decision to pivot is what saved us,” she says. Another successful pivoter is Richard Moross, founder of Moo.com. The business started life in 2004 as a social networking website, with the twist that users could send their details to one another on real business cards. The first pivot – although Moross describes it as “more of a pirouette” – was to drop the social networking site entirely. Instead, Moo started working with established social networks, such as Flickr, the picture website, giving users the ability to put downloaded images onto paper business cards. Moross’s other pivot was to extend Moo’s portfolio of cards beyond its original mini-cards to more conventional shapes. Not all these ideas worked, such as folded notecards, necessitating another pivot back to the core business proposition. Pivoting is all very well, but a good entrepreneur focuses on what he or she is good at. In Moo’s case, Moross notes that he could have gone for the consumer market by selling lots of different greetings cards, but pulled back from this because it would have required a very different business model. On his 31st birthday recently, Richard Moross arrived at the offices of Moo Print, the company he found-ed, to find all 34 staff dressed in his signature uniform of black jacket and shirt, blue jeans and white shoes. It was a fitting tribute to a man who has become a bit of a cult fig–ure in London’s technology start-up circles. Moo makes customised business cards, often using photographs pulled in from community sites such as Facebook and Flickr. After a rocky start, they have become the calling card of the web 2.0 generation, and Moo has done its best to encourage their ex-change with a notorious summer party. But Mr Moross has also act-ed as a mentor to many of the young companies that pass around his cards, which cost £10 for 100. Not for nothing has Moo’s Old Street location been dubbed “Silicon Roundabout”; it is also a hub for web companies such as Dopplr, a travel community, and Last.fm, the music service. But that must be coupled with a focus on customer need to avoid becoming a mere novelty, he says. Design and attention to detail are crucial to Moo’s appeal. Mr Moross set out to emulate the design-led ethos of Apple, he says. And when it comes to ambitions and taking on the industry leader, Vistaprint, he hopes Moo could be “Apple to their PC”. Moo declines to give detailed financials, saying only that it has printed more than 10m miniCards, tripling its revenues every year since launch in 2006. It plans to do so again this year. Indeed, while many of its fans in dotcom land have had to retrench as advertising and funding dwindles, Moo is growing. As well as continuing to hire staff in London, it is opening its first overseas office, in Rhode Island, to lower delivery times and costs in the US. The site for Pleasurecards – “A little part of me dies every time I say that word” – was designed by Mr Moross but coded by contractors, which he says limited his ability to change the business. By December 2005, the business had less than £25,000 left, having made around £5,000. “I stopped drawing a salary,” says Mr Moross, who had also persuaded Stefan Magdalinski, chief technical of-ficer, to join and work for free. Encouraged by existing backers Index Ventures and The Accelerator Group, the pair went to the Etech conference in San Diego the next March, financed by “my Visa and my family”. There they met Flickr and shortly afterwards secured the backing of Atlas Ventures, a London-based VC. Moo has now raised a total of £5.5m. Moo’s priority in 2009 is to move out of the geek niche and into the mainstream. Its cards are becoming popular with designers and architects. “Our next market is easily 10 times as big” as the dotcom crowd, says Mr Moross. Ap-pealing to them means taking many of the hallmarks of web 2.0 – such as drag and drop interfaces and Flickr integration – and making them easy for non-techies too. The downturn is bringing new customers too, and not just in the number of cards containing the optimistic job title “consultant”. 6am: Check sales figures and stats – half our customers are in the US, so plenty of activity overnight. Go for a run. 8am: Americano (two shots) and cereal at Moo Studios. Dip into RSS feeds: tech and business blogs, and news. Then inbox triage and critical quick tasks. 9.30am: Second coffee. Catch up with folks as they arrive. Once a week I send a CEO MoosLetterto the whole company. Noon: Check what customers are saying about Moo on Twitter, Technorati, Friend Feed and our customer services e-mails. 12.30pm: Once a week, all 35 of us have a meeting and team lunch catered by a local restaurant. 2pm: Discuss design of new packaging idea with colleagues. 3pm: iChat video conference call with US office to discuss progress. 3.30pm: Meet our chairman, Robin [Klein, of The Accelerator Group] to discuss upcoming board meeting, strategy, progress. 4.30pm: Eat some cake one of the Moo Crew has baked (this happens every week). Check RSS, Twitter. Then twitter what I’m listening to on Spotify; no replies. 5pm: CEO-led project work, then try to clear e-mail inbox. Check sales figures and stats before heading off – I’m out almost every evening at something work-related. 10pm: Taxi home, calls to friends and family. Check stats on iPhone. 10.30pm: Watch news with laptop open, and go to bed at 11.30pm. The opportunity for UK companies to export their goods and services – the one piece of good news from the current weakening of sterling – is being stifled by a lack of government support, according to businesses and employers’ groups. The decline in the pound to a record low against the euro this week is another blow to many small and medium-sized companies that sell locally but rely on imported raw materials. It has been welcomed, however, by those selling abroad. Aircraft Materials UK, a supplier of metal alloys to the aerospace, medical and electronics sector, gains about half of its revenues outside the UK. But Udo Paul, who founded the business in 2001 after being made redundant at the age of 54, claims that his growth is undermined by bureau-cracy and delays by the taxman. His main gripe is about VAT, which he must pay on raw materials entering the country from the US, but can then claim back when the final manufactured goods are sold. While Aircraft Materials’ customers usually pay within 10 days, Paul claims that he has to wait weeks for the VAT to be returned, which eats into his cash reserves. “We are subsidising the government while we get our VAT,” Paul said, adding that the tax owed amounts to about half his margins. He is also angered by the amount of form filling involved. When the value of goods traded within the EU passes £260,000, the business must complete Intrastat supplementary declarations to help the government compile European trade statistics. This is difficult for a business with just seven employees, according to Paul. “It all costs time and time costs money,” he said. A spokesman for HMRC defended the tax office’s procedures. “HMRC has an internal operational target to process all VAT returns within 10 days, which it is meeting fully,” he said. However, companies selling abroad are enjoying an uplift from the current weakness of sterling. Moo.com, an online printing business, gets half its revenue from selling personalised business and greeting cards to customers in the US. A 25 per cent decline in the pound’s value against the dollar raises Moo’s revenues by 12.5 per cent, according to Richard Moross, the company’s founder and chief executive. “It has been fantastic for us,” he said. But too few British companies are taking advantage of the opportunity to export, and a lack of government support abroad is partly to blame, according to Stephen Alambritis of the Federation of Small Businesses. Trust the Web 2.0 crowd to come up with a new take on boring offline business cards. London-based Moo.com started a craze for its MiniCards when it launched last September, offering Flickr members the chance to print 100 business cards with up to 100 different photos from their online galleries on the back. More than 3m of the less than half-sized cards later, Moo users are coming up with all kinds of other uses for them. There is the chain letter, where the originator sends out 100 cards and the next person takes one out and puts in a different one, and so on. There are similar art projects and a Where is Moo scheme where an empty box is gradually being filled by cards from around the world. Moo cards are being used as gift tags, wedding place-cards and even as Moonopoly sets. 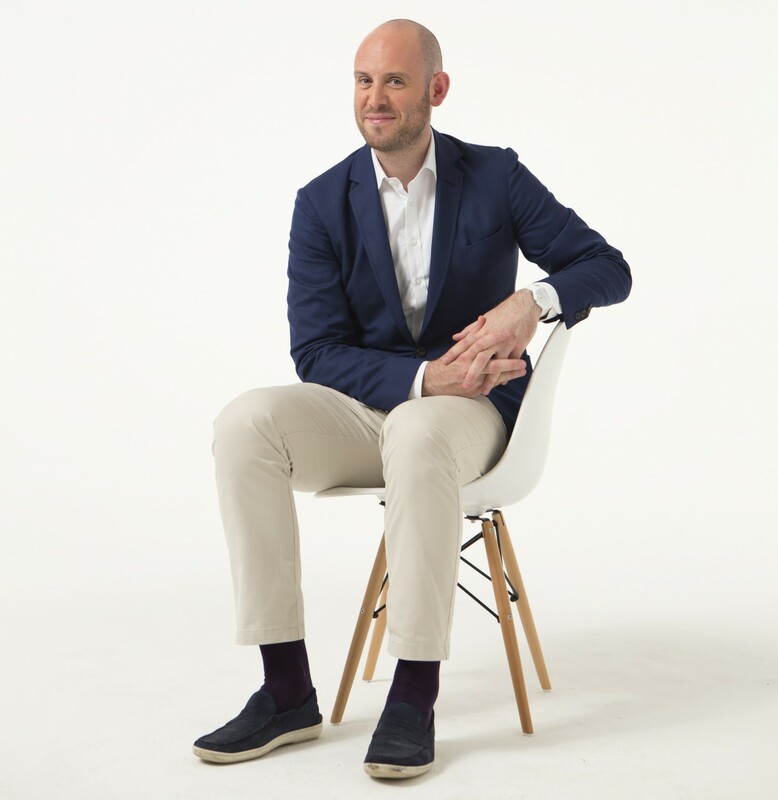 Richard Moross, chief executive and founder, says he likes to observe how users hand out their cards. Business cards are 300 years old and Moross came up with the original idea for Moo in 2003. The size of the cards means 52 can be printed per sheet of paper. So precisely have they been designed that changing their dimensions by a millimetre would mean a 33 per cent loss in gross margins per sheet. Moo has grown by extending its partnerships to Bebo, Vox, Fotolog, Second Life and Habbo Hotel, allowing users to create avatar cards for example. Its latest innovation is notecards that stand up on a table or desk. Other companies selling services on the back of the online photo sites include Qoop, Blurb, Zazzle and imagekind.